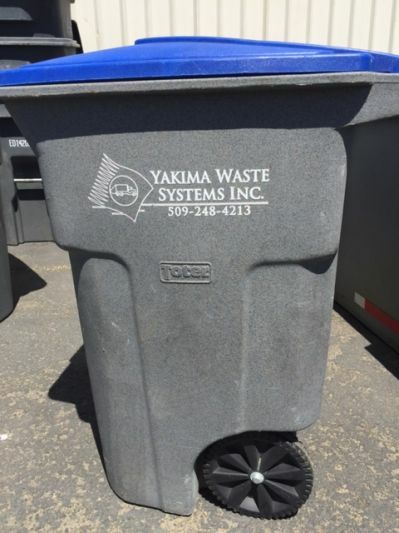 Yakima Waste Systems provides convenient residential collection services for our customers. Our mission is to provide quality services and recycling programs to help our customers reduce, reuse, and recycle to keep our state and Yakima County in pristine condition. 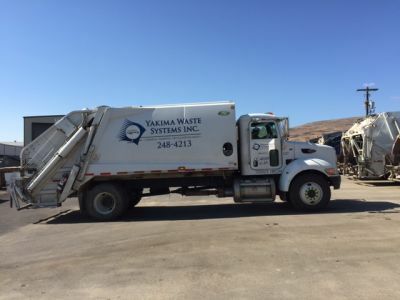 At Yakima Waste, we are dedicated to the area, our friends, neighbors and customers, and the environment and offer temporary roll-off services, recycling services, and yard waste pickup to help meet our mission. Special pickups and vacation accommodations are available for our residential customers. To request residential service call 509-248-4213 or email us. 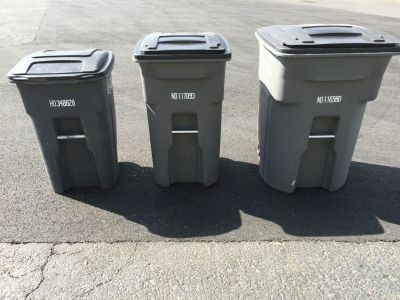 Garbage cans/carts must be available at 6AM. 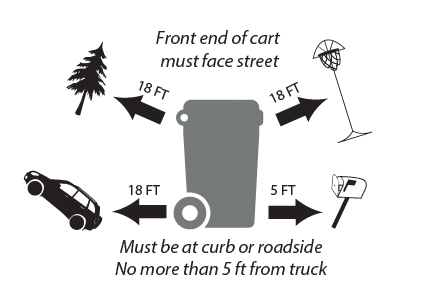 Cans/carts must be 5 feet from the road or curb and visible. Please call and report missed pickups immediately so that we can make sure you get serviced. (Return trip fee may apply). IF we are not notified, then we do not know that you have been missed. Vacation credit is given, but please call in advance to request a Vacation Hold. There will be a $12.17 handling charge on all returned checks. Notification of address change, service changes or termination of service is the responsibility of the customer. All yard waste must be placed in a yard waste tote for pickup. Residents who have higher volumes of yard waste may request additional totes. Call or email to learn the additional cost. Since yard waste is composted, no plastic bags are allowed in the container or for use to hold additional yard waste. Also, all bundled yard waste must be tied with natural materials – no wire or plastic allowed. While electronics are not allowed in any Yakima Waste collection container, residents may drop off electronic items covered under E-Cycle Washington. These items are accepted free of charge whether they are functioning or not. To learn more call 1-800-Recycle or visit their online database. Residential customers are billed bimonthly on the 1st of the month with payments due by the 30th.